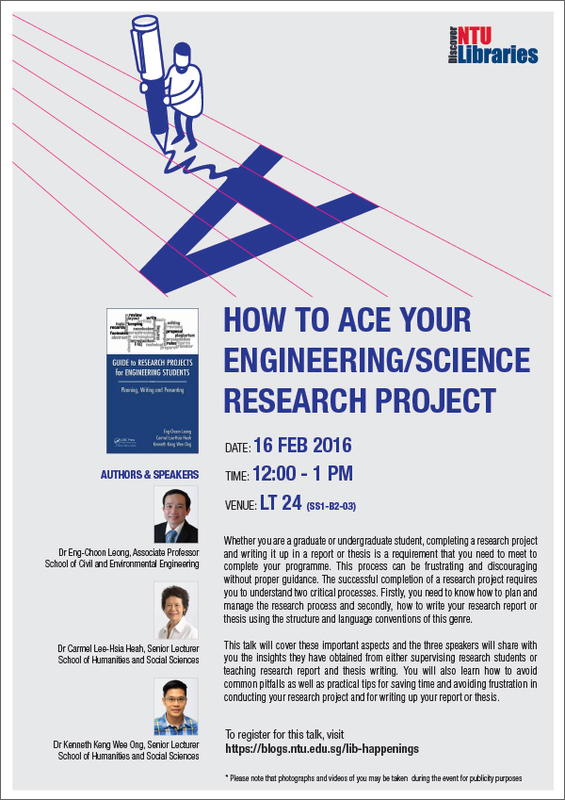 Join Prof Leong, Dr Carmel Heah & Dr Kenneth Ong to get important and practical tips on conducting your research project as well as writing your research report or thesis. Seats are limited so register early! Click here to register. Virtual reality (VR) is set to take off in 2016. It is one of those things that you have to experience it for yourself to fully understand what the hype is all about. 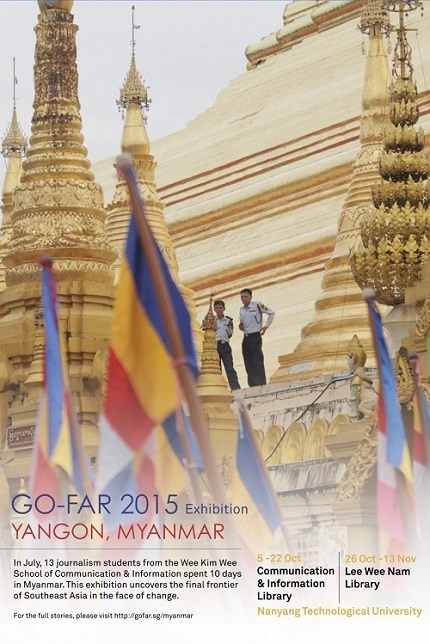 Check it out at the Communication & Information Library from 25 Jan to 12 Feb 2016. 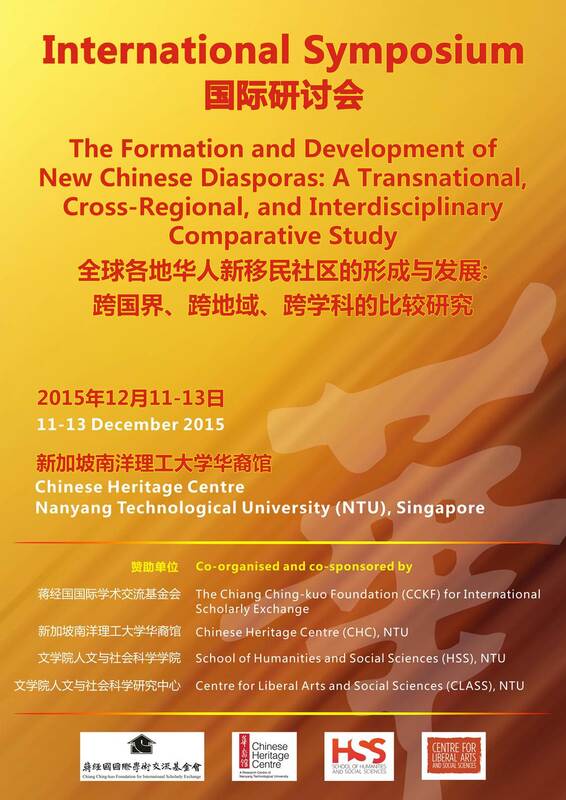 The Formation and Development of New Chinese Diasporas. Greetings from the Chinese Heritage Centre! We would like to warmly invite you to register for our upcoming International Symposium on The Formation and Development of New Chinese Diasporas: A Transnational, Cross-Regional, and Interdisciplinary Comparative Study. The distinguished speakers include Prof Cheng Ter-Hsing James (Soochow University, Taiwan), Prof James Chin (The University of Hong Kong), Prof Dai Fan (Jinan University, China), Prof Deng Jian-Bang (Tamkang University, Taiwan), Prof Gao Jia (The University of Melbourne, Australia), Prof Ho Lynn-Ee Elaine (National University of Singapore), Prof Adam Horaleck (University of Pardubice, Czech Republic), Prof Evelyn Hu-Dehart (Brown University), Dr Karsten Giese (GIGA Institute of Asian Studies, Germany), Prof Li Minghuan (Jinan University, China), Prof Peter S. Li (University of Saskatchewan, Canada), Dr Li Xiaoling Eva (The University of Saskatchewan, Canada), Dr Liu Liangni Sally (Massey University, New Zealand), Prof Park Yoon Jung (Rhodes University, South Africa), Prof Shao Chunfen (University of Sydney, Australia), Prof Shen Hsiu-hua (National Tsing Hua University, Taiwan), Mr Shen Xiaolei (Peking University), Prof Song Changzoo (University of Auckland, New Zealand), Dr Wu Bin (University of Nottingham, UK) and Prof Zhou Min (Nanyang Technological University, Singapore). You may refer to the attached tentative conference programme for more information. We would much appreciate it if you could circulate this announcement to your friends, colleagues and students who might be interested to attend. The closing date for registration is 10 Dec 2015. Looking forward to welcoming you to this exciting conference! Election fever is rising in Myanmar (Burma) as voters prepare for polling day on November 8. Since Myanmar started its transition from military rule to civilian democracy in 2010/11, social, economic and political change has gathered pace among the population of over 50 million. Singapore celebrates Open Access Week, and NTU Libraries will be holding 2 seminar talks in conjunction with NIE Library on open access and its related topics as part of OA Week. • Tips on making your publications more visible and discoverable*Light refreshments will be provided. • Copyright matters and your thesis*Light refreshments will be provided. Let’s get the conversation started about domestic violence and how we can evolve as a community to support individuals experiencing abuse. Join us on Friday October 16 at 2:30pm for a film screening of Voices Heard Sisters Unseen, followed by a panel discussion and Q&A. The event is organised by NTU Libraries and Singapore Committee for UN Women, in collaboration with Division of Sociology. For more details, see the poster below. Click here to register now!